A California CBD producer is suing the federal government for seizing hemp shipments at airports. The lawsuit seeks to end sporadic hemp seizures by U.S. Customs and Border Protection and to give hemp importers faster notifications when federal agents seize plant material for examination. “The government cannot just take your stuff and destroy it and not pay for it,” said Michael Chernis, a Santa Monica, California, attorney who filed the lawsuit. Hemp and CBD are legal to import and export as long as the products meet federal standards – meaning they must contain less than 0.3% THC. In the case of exports, the hemp and CBD must also have been produced legally under the terms of the 2014 Farm Bill. Still, hemp is routinely seized and destroyed at ports, borders and airports, according to lawyers who represent cannabis clients. The lawsuit comes from Innovative Neutraceuticals, a company that has been making CBD products since 2013 in Lake Elsinore, California. The company has 15 employees and makes CBD tinctures, topicals and capsules sold under the brand Innovative CBD. All are made from about 1,200 kilograms of imported hemp a year. Owner Dave Hargett set up the company before hemp production was legal in any U.S. state, so he sourced his raw hemp from Spain. “We tried to follow the federal government’s rules to a ‘T,’” Hargett said. Unfortunately, Hargett said, he gets his hemp from Spain only about 60% of the time, so not being able to rely on U.S. hemp endangers his company. “We have retailers and customers that are relying on our products,” Hargett told Hemp Industry Daily. “If we can’t manufacture products, we can’t fill orders. 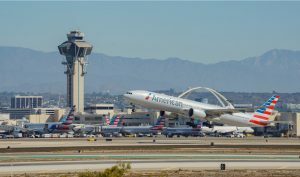 A 2015 shipment of 31 kilograms of “ground industrial hemp plant material” was seized at Los Angeles International Airport (LAX). Ten months after that shipment was seized, Innovative Neutraceuticals asked customs to review the seizure. Customs did not respond for another seven months, at which time the company as told that the ground material tested positive for CBD and was therefore illegal. A 2017 shipment of “crushed hemp material” was seized in Newark, New Jersey. As in Los Angeles, the federal government “failed to provide (Innovative Neutraceuticals) with notice and the opportunity for a hearing to contest the seizure or destruction of its property,” according to the complaint. Another 2017 shipment of crushed hemp was intercepted at LAX, this time after the shipment was flown in on LOT Polish Airlines. The CBD company “requested reimbursement … for the destroyed property, along with copies of all documents concerning the seizure and destruction of its property, including investigative and lab reports, to no avail,” according to the complaint. Hargett says the seizures have been sporadic and unpredictable, prompting his suit. “It’s extremely detrimental to our business,” Hargett told Hemp Industry Daily. He is seeking unspecified damages, along with a requirement that the U.S. government give shippers and recipients notice of a seizure within seven days and to give the parties a hearing within 30 days if they challenge the seizure. Hargett’s lawyer says the case is much bigger than a few lost shipments for one company. The case is important even if Congress takes hemp out of the Controlled Substances Act through the 2018 Farm Bill, Chernis said. That’s because it could prompt federal agencies to take greater care determining whether hemp is legal, instead of simply testing it for the presence of CBD or THC. “Not everything that has hemp or cannabis attached to it is necessarily illegal,” Chernis said. Kight, the North Carolina lawyer who is not involved with the Innovative Neutraceuticals lawsuit, said that import/export confusion stymies the entire cannabis industry. Not all federal agencies interpret laws the same way, he said, and what sails through at one airport may not get through another. “It’s a very strange game that’s being played at the borders, where the right hand is not talking to the left hand about what is legal or allowed,” Kight said. This is why we need the Farm Bill to be agreed in committee with Industrial Hemp and sent to Donald Trump and Signed into law so we can Grow Industrial Hemp in America. AGREE… And unless you can visit these farms overseas, how can you trust what you’re truly getting? Absolutely. This needs to be moved up on the to do list. The whole nation wants this to happen. One more example of out-of-control, irrational, illegal, Gestapo-tactics, law enforcement! Dave Hargett, apparently, has amazing patience. Innovative, prevail! The Feds destroy , they have never done anything correct except deposit their checks into their bank accounts! Hemp does not get you high – hemp heals. For some of us with chronic pain it is our last resort. Having been a farmer’s wife for 40 years it is extremely important that we can grow hemp right here in the U S so that we can be assured that the cbd oil, in the mature hemp stalk, is as pure as possible. I am hoping that my son will be able to grow it some day soon. No more manufactured drug pills for my pain. Let us heal ourselves with what God has given us in nature. Hemp Heals. Is there an update on this story now since the Farm Bill has passed? Thanks, we are anxious to schedule hemp biomass and oil concentrate shipments from South America.